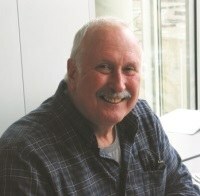 On 22 January 2014 Paul Klint, research fellow at CWI and professor Software Engineering at the University of Amsterdam, will retire to the position of emeritus professor. The title of his valedictory speech is 'The Software Revolution'. In forensics the analysis of digital data faces major challenges. The volume is growing exponentially and there is a wide variety of devices and formats. Jeroen van den Bos, PhD student at the Centrum Wiskunde & Informatica (CWI) in Amsterdam and software engineer at the Netherlands Forensic Institute (NFI), developed a new approach to develop flexible, automated digital forensics software. Programming language Python and company Software Improvement Group (SIG) were awarded a Nationale ICT Award last night. Both winners have their origins at CWI. Python was awarded the COMMIT/ Award for the most valuable product resulting from ICT research that is over ten years old. SIG received the ICT Milieu Award for their application energy profile register.